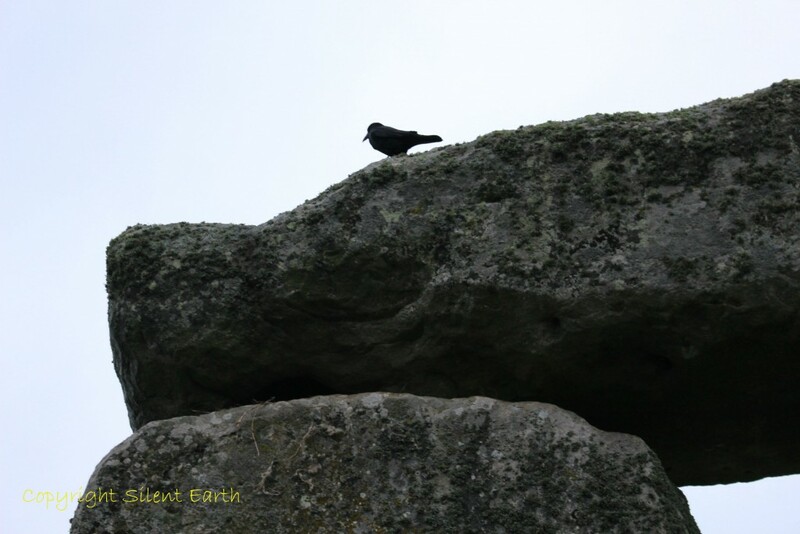 At the old Visitor Centre of Stonehenge the rooks used to take on the character of gatekeepers to the stones. They must have noticed quite a change when the new and more distant Visitor Centre opened in December 2013. 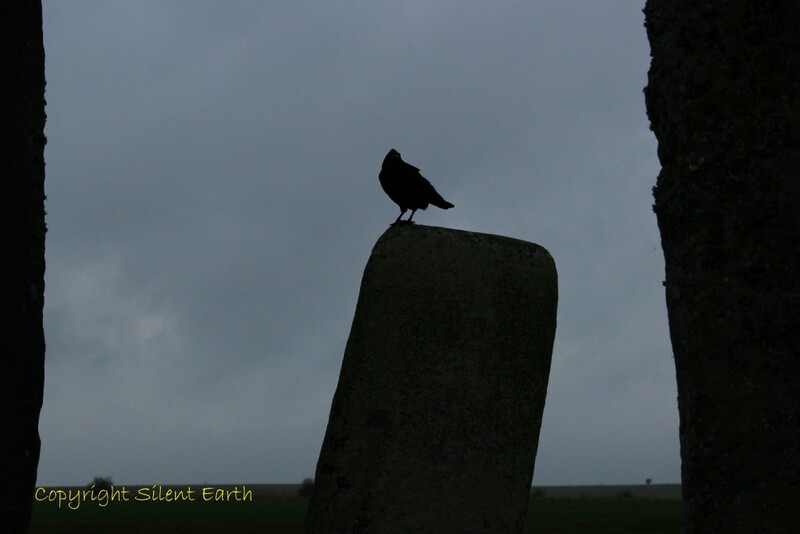 The rooks now sit on the fences and posts around the monument, more in this article in The Guardian newspaper here. 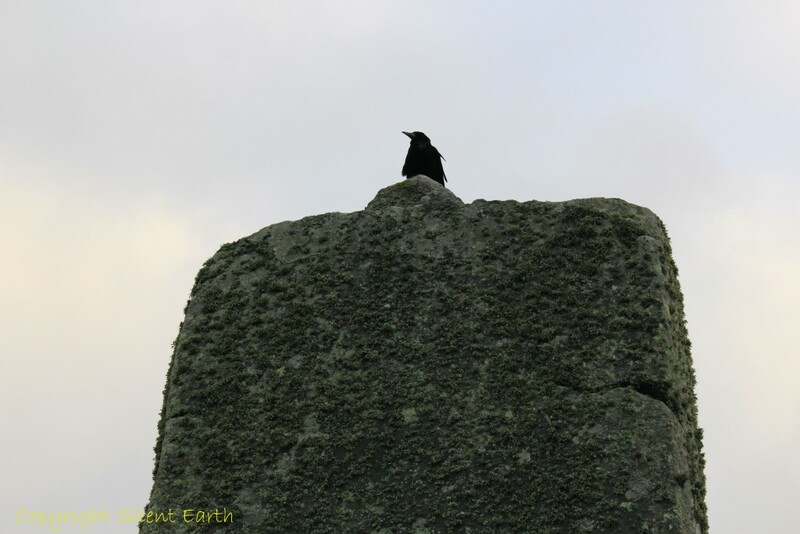 The place where the jackdaws, rooks and crows of Stonehenge take the high ground and leave us humans at a lower level standing on the earth itself is of course in and around the stones themselves. 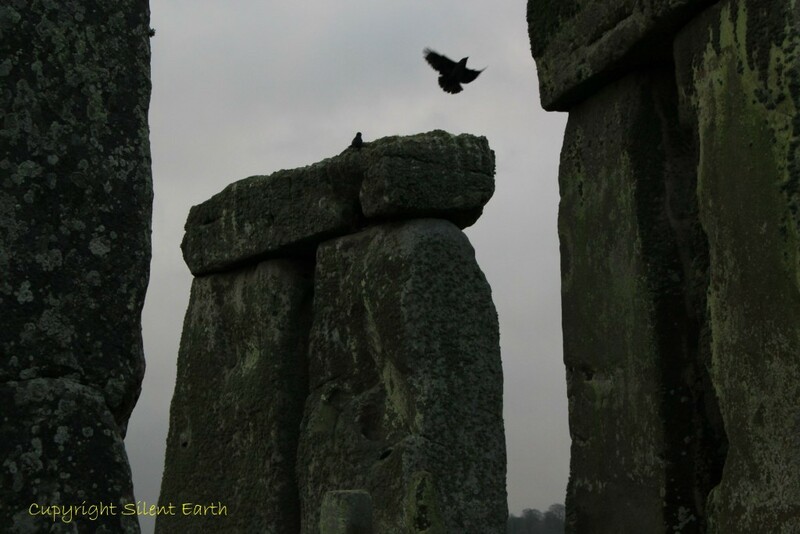 Below is a rook on top of the tenon of the Great Trilithon. 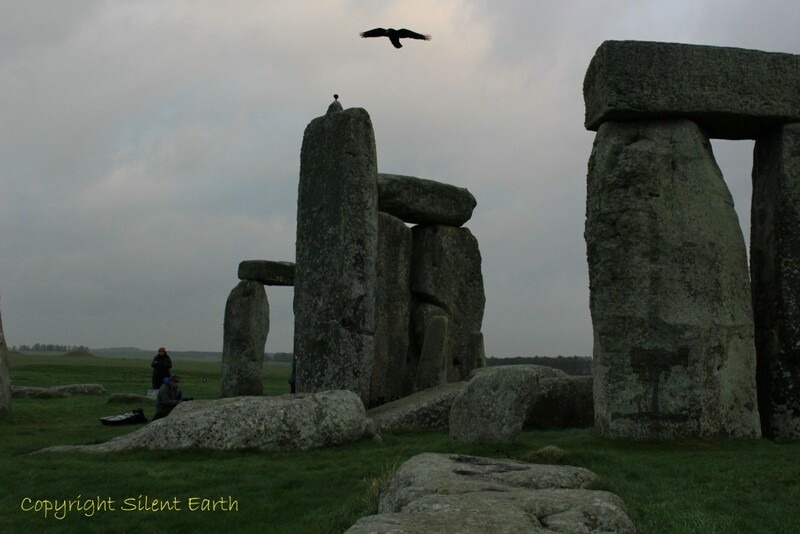 Lady Antrobus observed restorations in 1901 by Dr Gowland and Mr Detmar Blow to the Great Trilithon at Stonehenge and referred to this stone in a subsequent article published in Country Life magazine on Saturday 19 October 1901 as ‘King of the mystic circle’. More on the Great Trilithon at www.sarsen.org here. 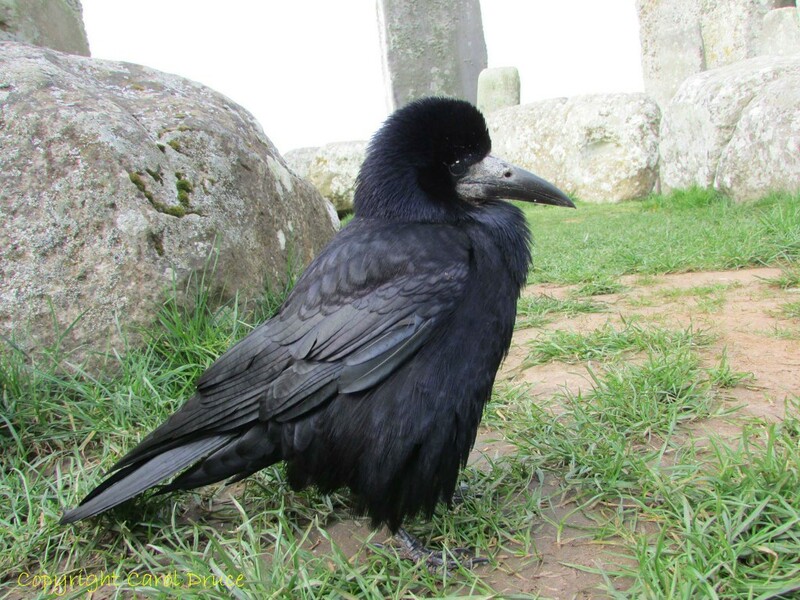 Rooks tend to build their nests from twigs bound together with earth and lined with moss, leaves, grass and wool, and sometimes use them again the following year. 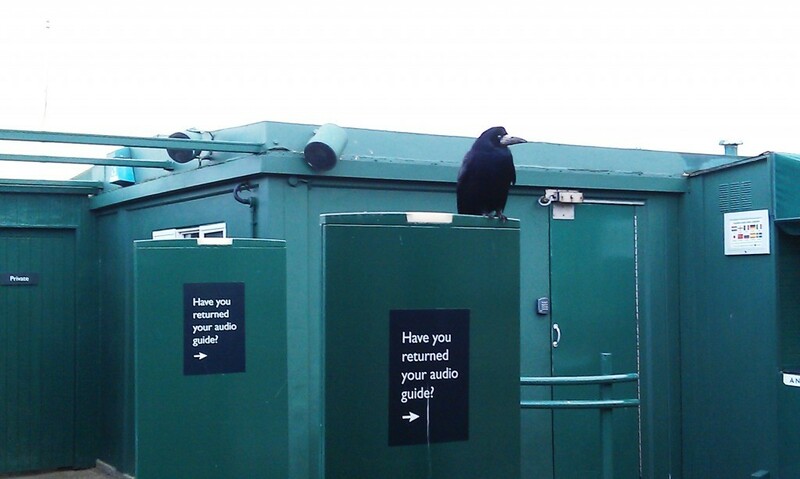 Collective nouns for rooks are: congregation, storytelling, building, parliament and clamour. Below : A rook guards in silent purpose a nation’s golden treasure. Thank you Sarah Maddison of Sixty Four Packing Cases for the textile work below entitled ‘Guardian of the Stones’. More on the work of Sarah Maddison and Sixty Four Packing Cases here.